I’m super excited to take part in the Plotting Princesses New Year’s Blog Hop 2013 is going to be a crazy-fun year filled with exciting book releases, writing, and hanging out with readers at Authors After Dark. 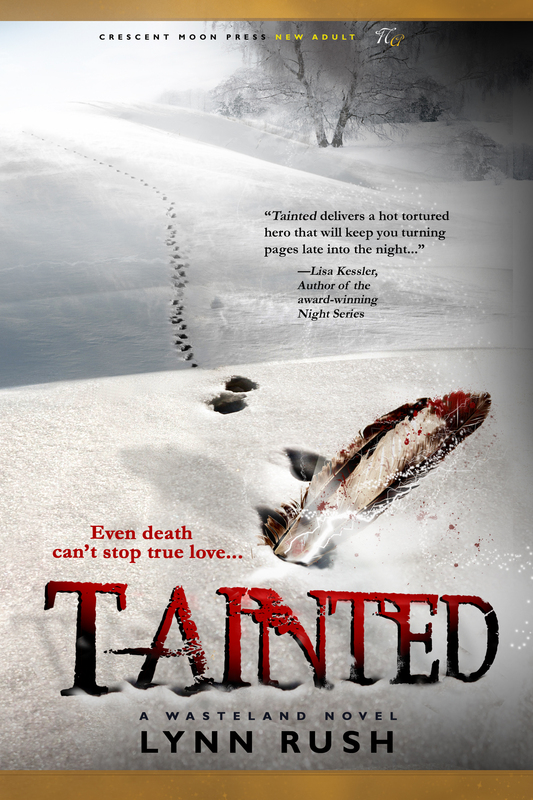 The final book in the Wasteland Trilogy, Tainted, releases January 15th! I’m both excited and sad at the same time. A trilogy comes to an end. But yet, I just loved writing Durk and Jessica’s story. Here’s the blurb, then don’t forget to check out one of my favorite recipes—and read on even further for a little giveaway. After over four hundred years as a Guardian, Durk Langdon rebuked it all. Walked away from everything when his mate, Jessica, was brutally murdered. Yet he has no recollection of anything since that gruesome day. Nothing alleviates his longing for Jessica or his disdain for the Guardians until a former brother in arms joins him and his cause. Visions of his lost love start appearing in the most unlikely places, until Durk learns she survived. 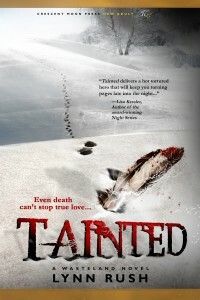 But when he sets out to find her, demonic obstacles he never could have imagined tear them apart. I’m a little cookie monster–love my chocolate chip cookies. So, when I was encouraged to go gluten free for health reasons, one of the first things I thought…WAIT, what about cookies? LOL. 8 TBSP butter, 1 egg, 1 tsp vanilla, 1-1/2 cups Pamela’s Baking Mix, 1-1/2 cup semi-sweet chocolate chips, 1/2 cup chopped walnuts, 1/4 cup white sugar, 1/4 cup brown sugar. Preheat oven to 350. Cream butter and sugars together. Add egg and vanilla, mix. Add Pamela’s Baking Mix, then chocolate chips and nuts. Place scoops of dough (1TBSP sized) on parchment lined or greased cookie sheet. Lightly flatten. Bake for 12-15 minutes (for me it’s like 10 minutes). Let cookies cool slightly and use a spatula to remove from cookie sheet. These turned out SOOO yummy over Thanksgiving this year. Christmas time…not so great. I didn’t do the sugar right and they got all runny and yucky. Second try was a bit better, though! Leave a comment on the blog and you’re entered for a free eBook: Wasteland, the first book in the Wasteland Trilogy. I’ll pick a winner Monday January 14th and post the winner’s name in the comments, so you might want to subscribe to the comments to see if you’re the winner! This entry was posted in Uncategorized and tagged angels, Demons, Lynn Rush, New Adult, Plotting Princessess, Wasteland, Wasteland by Lynn Rush. Bookmark the permalink. Yay. The Winner is KAT! Thanks for playing. Kat, just email me which format you’d like (Kindle, Nook, PDF) and I’ll send it over to you. Love the titles of these books and the blur drew me in! Blurbs are so important when an author is “tempting” us to read more. Great job! HEY KAT. You’re the winner. Email me with what format you would like (Kindle, Nook, Pdf.) Congrats!!! I’m sad that the trilogy is over, but I loved Durk and Jessica’s story too. Next Tuesday – release day is almost here! Thanks, Melissa. Hope you enjoyed David’s story. Thanks for all your support! not sure if thi was the place to ask but still. If you need to delete this comment because of it thats ok to.